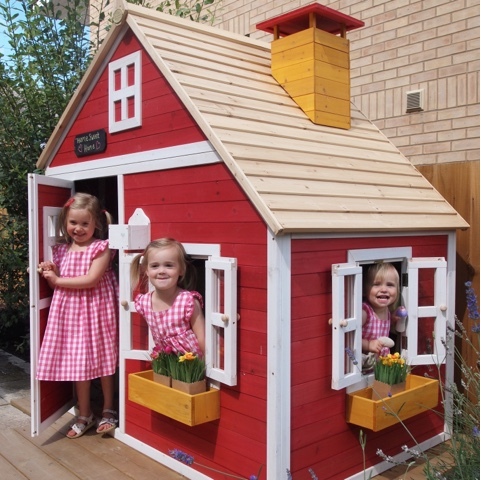 We have been looking for a playhouse for the girls for such a long time. At five, three and almost two they're at the perfect age to really enjoy all that a playhouse brings. I wanted something that was high quality, built to last, that would grow with them and look great in our garden. The Crooked Mansion Playhouse from Big Game Hunters ticked all those boxes and more. We absolutely love being outside as a family and think of our garden very much as an extension of our home. It's a space for the children to play in, for our rabbit to hop about in, to cook barbecues in and to enjoy the sunshine as a family. We were so excited when the playhouse arrived at the start of the summer holidays and we put it up one evening after the girls were in bed so it was a surprise for them the next day. Everything arrives carefully packaged, with each part of the playhouse cleverly numbered and with pre-drilled holes. The screws are clearly labelled and there are easy to follow instructions. There are lots of parts to put together but it was simple to do and the playhouse was up in a couple of hours and ready to play in. The quality of the Crooked Mansion is outstanding and it is extremely well designed. It's made from a premium Fir wood for natural strength and durability. Once built it is very sturdy and secure and the finish is great. 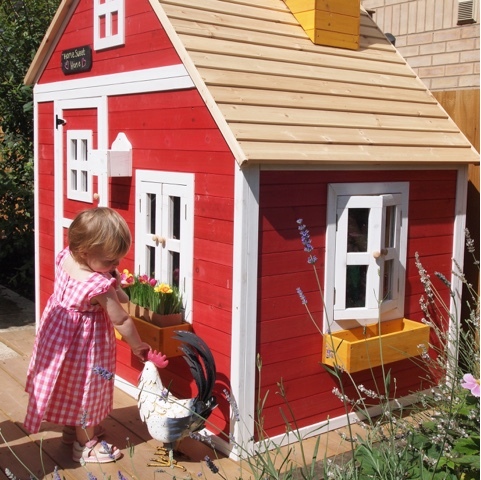 Unlike many other playhouses it is pre-painted with a hard wearing dark pink wood stain which was a huge plus for me. It saved us the job of painting it and meant the girls could play in it straight away without decorating interruptions. Big Game Hunters also stock the Whacky Mansion Playhouse which is very similar but green and yellow if pink isn't your colour. 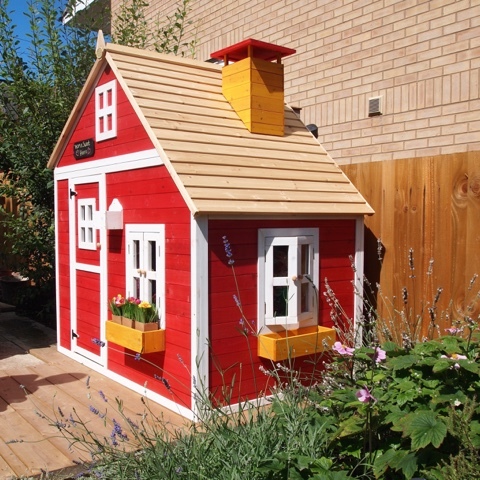 When choosing the playhouse, I hadn't realised that it was also painted inside which gives it a really homely, cosy feel. The bright vibrant colours look fantastic in the garden amongst the flowers and the girls absolutely love it. 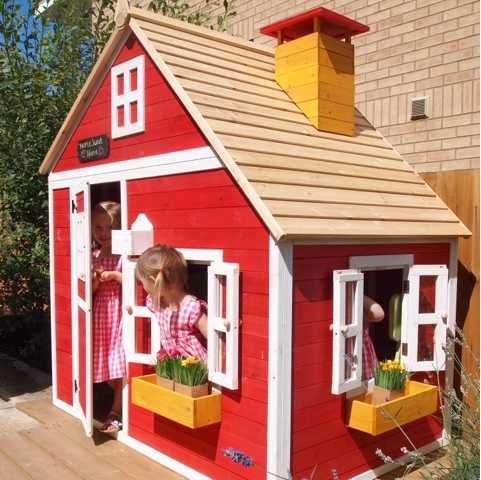 We ordered the Crooked Mansion floor as an extra and it really completes the playhouse providing a dry, clean space to play on and is something I'd recommend if you are thinking about purchasing this playhouse. The thing that really set the Crooked Mansion apart for me is the attention to detail. 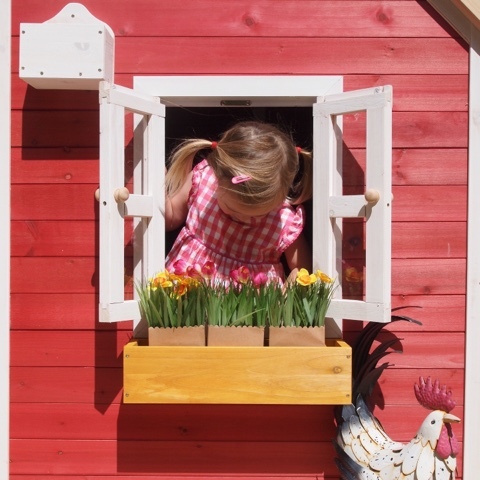 The girls adore the two little windows that carefully open and close with magnetic catches and tiny handles allowing them to pop their heads out and look into the garden. The cute window boxes underneath are such a lovely touch and I can't wait to pop some real plants in them for the girls to tend to. 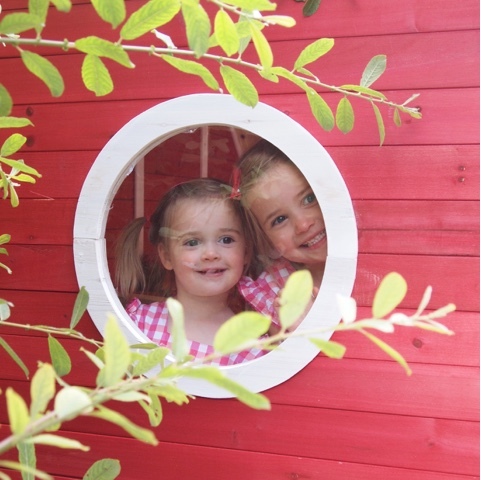 There is also a little porthole which along with the two windows means that the playhouse is light and airy. It's also a great vantage point to be able to keep an eye on them and for them to peep out through. 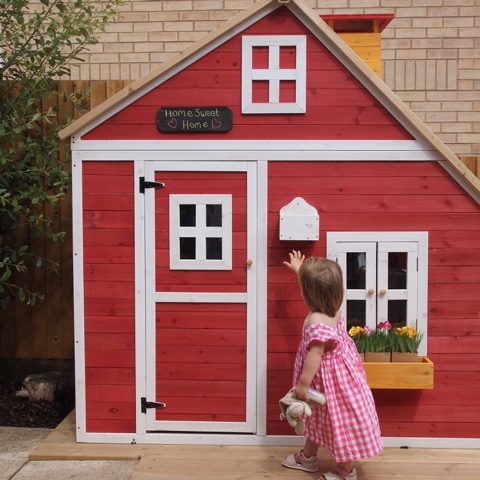 The door is a great height meaning that the little ladies can walk in and out without having to duck. There is plenty of growing room with a 176cm ceiling apex meaning that it's suitable for a wide age range of children and they will be able to play in here for years to come. This is another reason I loved the Crooked Mansion. 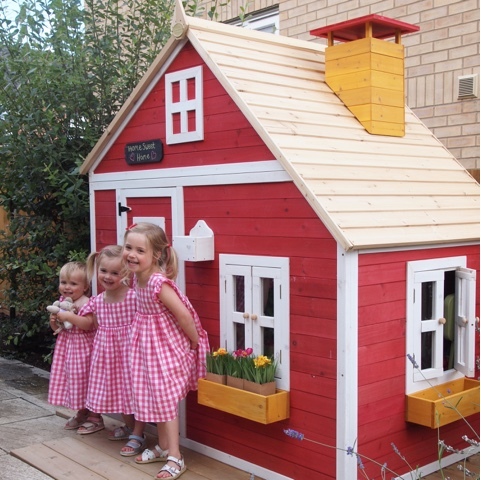 It's large enough for all three of the girls to comfortably play together inside whether they are having a tea party or playing the 3 little pigs - a game they have been playing often inspired by the chimney on the roof I think! I love that I can even get inside and play with them too, although am mostly designated the part of the wolf which means I am not allowed in! The girl's already very active imaginations have run wild since the playhouse arrived and they very much see it as their own little house. I love that it's a space for them to make believe in, or a den to hide in, just for them to have fun in. The Crooked Mansion also comes with a chalkboard name plaque giving the opportunity to give the house a name. When I asked the girls what they would like me to write on it they said "Home Sweet Home because it's our own little house mummy." 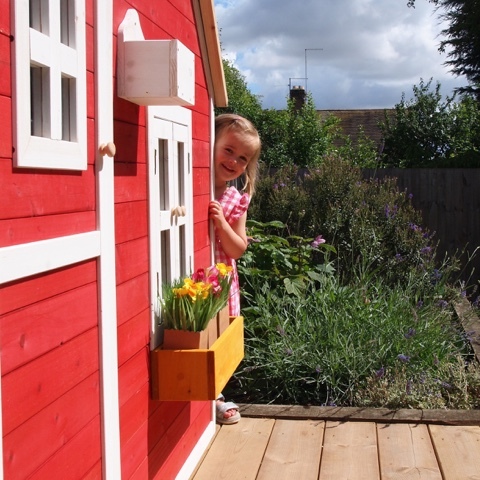 Their little house even comes with a letterbox for extra imaginative play. I'm going to surprise them every now and then by posting them little notes from the fairies in our fairy garden just to spark their imagination some more. 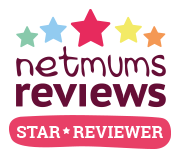 I'm also planning on buying a few little bits and bobs for inside to make it feel even more like a little house such as a rug, some little chairs, pictures for the walls and some twinkly lights at the girls request! Big Game Hunters have a brilliant range of high quality play houses in all shapes and sizes and to suit all budgets. 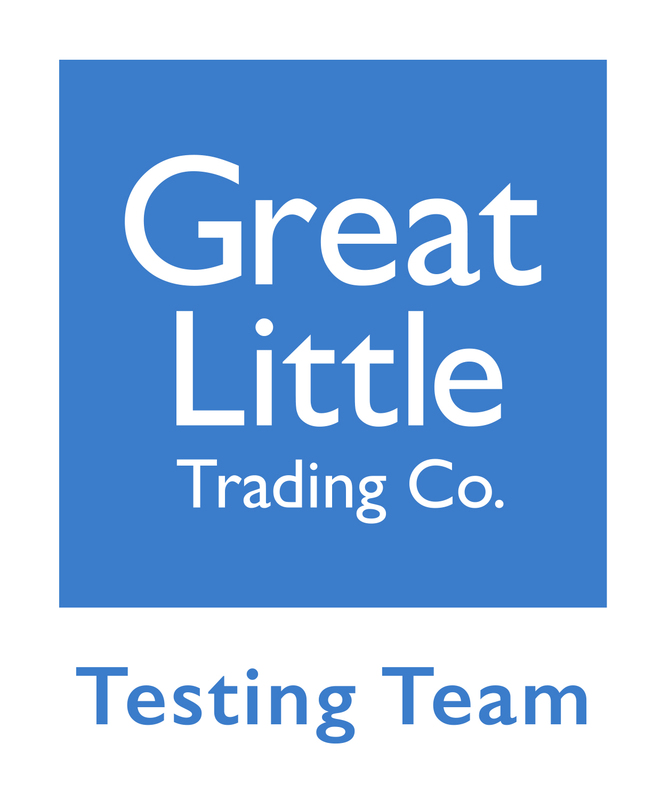 You can see the range by visiting their website HERE.